She is one confident looking litte girl. 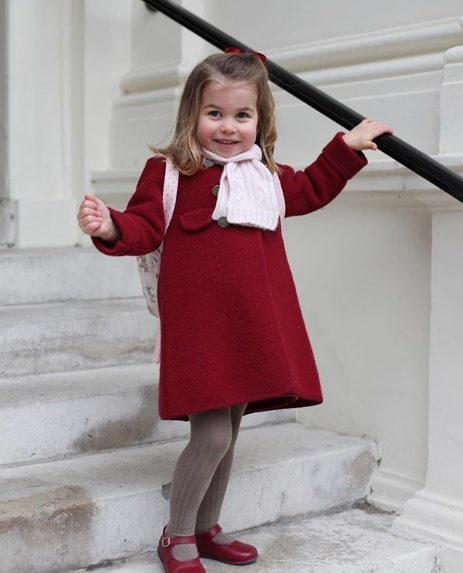 Charlotte Elizabeth Diana of Cambridge started school today with mum on hand to capture the moment on camera and number four in line to the throne seemed more than ready for her big day. 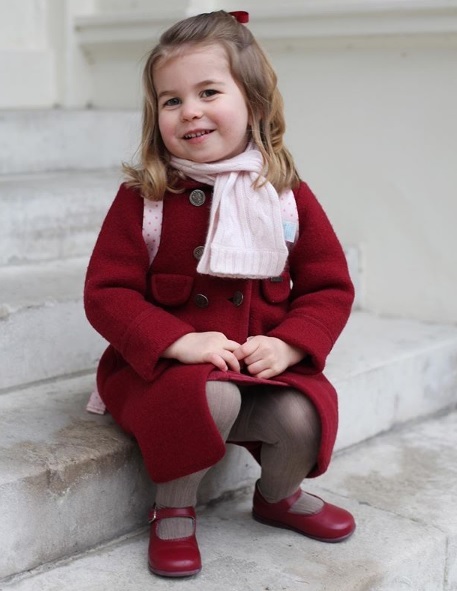 Smiling cheekily and ready to step out, Princess Charlotte headed off to begin a new chapter in her life brimming with confidence. Princess Charlotte of Cambridge is now a pupil at Willcocks Nursery School, not far from her London home at Kensington Palace. Her parents announced she would be starting classes there just before Christmas. If there were first day nerves then she kept them to herself and looked more than calm and collected in these special photos, taken by the Duchess of Cambridge today. They've already got almost 400,000 likes on Instagram proving that the Cambridges really are the poster family for the royals right now. Best foot forward, Charlotte, and long may the smiles continue.